The one thing I put off/didnt think about, and now we are three weeks until the big day. I am so stumped. What are you guys doing for your Prelude, Processional, Bride Entrance and Recessional music? I know that I want to have Canon in D playing as the Processional but as for everything else, NO CLUE! I'm not a Canon in D type of person so we are doing some. not typical stuff. Processional is Hallelujah by Jeff Buckley, bridal processional is Let Me Call You Sweetheart, and recessional is Everybody Loves Somebody. We've hired a string trio for our ceremony music. We're stuck with Disney or traditional unless I want to find sheet music. I am still hoping the violist plays 'I See The Light' from Tangled and 'Can You Feel The Love Tonight' from Lion King. Prelude is classical music, just whatever's on my iPod, with The Flower Duet as the final song. Processional (for everyone) is I Choose You by Sara Bareilles. Signing of the Register will be friends of ours doing the duet version of A Thousand Years. Recessional will be the Doctor Who Theme (because we're nerds). I kinda of put off the whole music choosing as well!! Prelude we are deciding between a few different songs covered by vitamin string quartet. Don't want to miss a thing (Aerosmith), take my breath away (Berlin), and hallelujah. Brides entrance is Somewhere over the rainbow by Israel Kamakawiwo'ole. And recessional will probably be don't stop believing covered by vitamin string quartet. What I am most worried and confused about is the entrance music for everyone into the reception!!! What is everyone doing for that?? 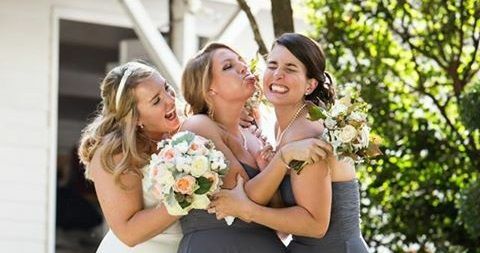 Is your entire bridal party coming out to the same song, or different songs for each? Wedding party is being introduced to Beautiful Day by U2. FI and I are being introduced to The intro to Crazy Train by Ozzy Osbourne. It's what they play at Patriots games and FI is a season ticket holder. He didn't ask for much Plus I think it's pretty funny. One of our groomsmen is actually just playing acoustic guitar, and we didn't specify any songs or anything. He'll play pretty music, and he knows how many 'changes' he needs to make to transition from general seating to special seating, to bridesmaids, flower girl, me. Then no music mid-ceremony, and he'll play again after we're announced and be done for photos. I told my pianist to surprise me with the prelude. Processional is Maybe I'm Amazed, recessional is Here Comes The Sun. We don't have a separate bridal processional. Tiny church + small number of people walking. Recessional: You're My Best Friend, by Queen. I was a little hesitant with using vocal for the recessional since everything else with be instrumental, but I figured nothing wrong with getting more upbeat and getting people ready for the reception! I forgot to mention, since there's been a couple of Game of Thrones things - we're entering the reception to the Rains of Castamere. Hoping for a bit of a different outcome to our wedding! Prelude will be "Son of a Preacher Man." His dad is a preacher and the traditional wedding march. We're getting married in a church that encourages selections of traditional music. So the songs I picked are quite standard. I honestly hadn't thought of a recessional song, but now that I am thinking of it, I may go with The Road by In This Moment.